Putting an end to the speculations actress Radhika Madan confirmed that Kareena Kapoor Khan will be acting opposite Irrfan Khan in Angrezi Medium. The film is the sequence of Hindi Medium. 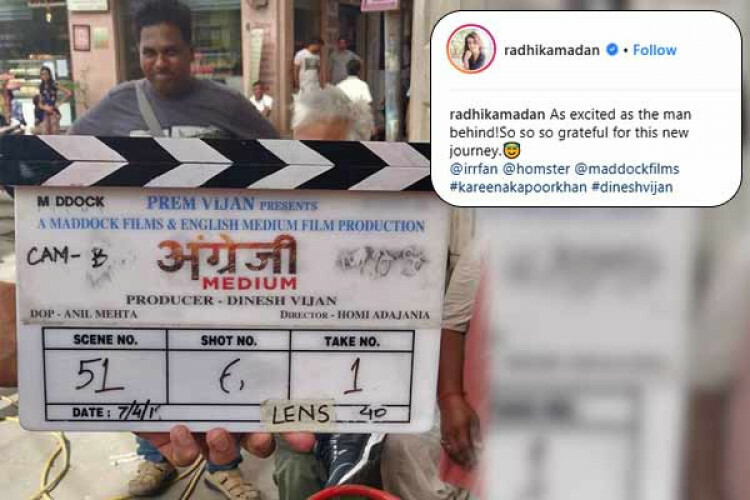 As Radhika started shooting for the film she shared the photo of the clapperboard and captioned it, "As excited as the man behind! So grateful for this new journey. @irrfan @homster @maddockfilms #kareenakapoorkhan #dineshvijan."